The beautiful Caribbean Sea surrounding St. Thomas offers some of the world’s finest opportunities for boating, sailing, snorkeling, and wildlife encounters. Relax with a cool drink and soak up the rays on a sun deck, visit uninhabited cays and spectacular island beaches, or go snorkeling for up-close encounters with sea turtles and colorful fish. 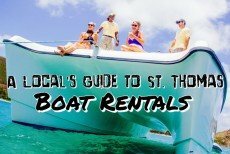 Our recommended St. Thomas boat tours will take you there. 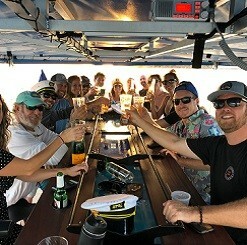 Handpicked by our local experts, our recommendations include fantastic day trips or half-day tours on sailboats, yachts, catamarans, and power boats. Our team evaluates each tour to ensure you receive the best service and enjoy an amazing experience. 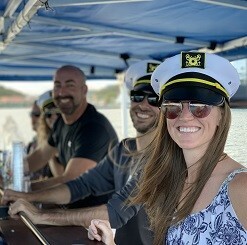 Whether you want to party with friends, experience the untamed beauty of the Caribbean, enjoy a romantic sunset cruise, or take a full-day trip around the Virgin Islands, we provide the perfect choices at the best available prices. 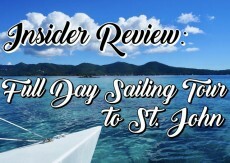 Check out our list of St. Thomas boating and sailing tours and book your adventure today!